Unexpected malfunctions of a home can send a homeowner into complete panic. During tough economical times with job security a thing of the past, the need to conserve money has taken on a new meaning. Unexpected expenses are not something most can afford; this is why a homeowner must take added care and precautions to insure his or her home is protected from safety hazards or faulty appliances. Faulty appliances could create a series of expensive damages that can leave the homeowner wishing they would have paid closer attention to the details of the home that before now did not seem very important. Home appliances are important to the home and the family living in the home. When appliances choose to quit working, the home looses some of its normal flow, especially when the item that breaks turns out to involve the home’s ventilation system. 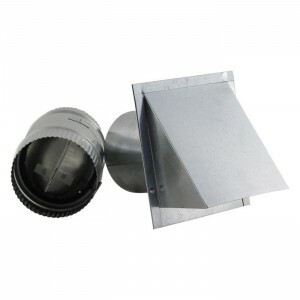 Ventilation allows the heat and moisture that can collect in a home to escape through a venting system helping eliminate any air flow restriction. A vent damper is needed to help control, regulate and disperse air throughout the home. Basically, the vent damper helps monitor your energy cost. How? A vent damper has “flapper” like abilities that can open and close when needed. The vent damper has the job of trapping the requested amount of heat and the circulating it throughout the area when needed. Once the residual heat is needed, the “flapper” device opens freeing the heat without reigniting the heating element. A properly functioning ventilation system will go a long way in saving homeowners time in repairs and money in energy cost. If you are a homeowner in need of a new vent damper and are unsure as to what all is involved, call an expert or vent damper manufacturing company such as FAMCO and speak with someone who can answer any and all the questions you may have.